Colorado. Join us on Aug. 4, 5:30—7pm, to welcome and celebrate the Class of 2020. Students from the greater Denver area who will be attending Penn in the fall, their parents, and local alumni will gather to meet and chat about all things Penn. Location: tbd. For more information, email pennclubofcolorado@gmail.com. Los Angeles. Join us for a career-networking event, “Women and the Holocaust,” sponsored by the Trustees’ Council of Penn Women. Professor Sharon Gillerman Kutz, chair of Jewish history at the Hebrew National College, will lead the discussion at the Los Angeles Museum of the Holocaust, 100 S. The Grove Drive, on Aug. 9, 6—8:30pm. For more information, email Michal Clements W’84 WG’89 at michal@itoaction.com. Memphis. Join us for the annual New Student Sendoff on Sun., July 31, 2—3:30pm, at the home of Julia McDonald C’00, 3740 Waynoka Avenue. Families are welcome to join us for this ice-cream social, celebrating the incoming members of the Penn Class of 2020. For more information, contact Julia at jmcdonald@cfgm.org. New York. Join us on July 13 for our New Graduate Welcome Party, which is open to all new graduates of Penn (both undergraduate and graduate schools) to have fun, meet fellow Quakers, and serve as an introduction to the city. For more information, visit www.penn.nyc or email Jason Shapiro WG’09 at jason@penn.nyc. On Aug. 18, our PennNYC family-activities committee hosts its third Annual Central Park Picnic on the Great Hill from noon to 4pm. It is free, just bring your own food and drink. Join other metro-area Penn Families for a fun afternoon. For more information, contact Terry Moreland G’87 at terry@penn.nyc. Make an impact on the city by becoming a PennPAC (Pro bono Alumni Consulting) volunteer. Put your professional skills to work this fall serving on a team with five other alumni to support a nonprofit in addressing a strategic issue; learn more and apply now through Aug. 19 for projects running 8-10 weeks, beginning in October. For more information, visit www.pennpac.org/#/join-pennpac/4589176973 or email volunteers@pennpac.org. Philadelphia. Volunteer on Sat., Aug. 13, for the semi-annual Casserole Blitz at the Penn Newman Center, 1—2:30pm. Join us as we make casseroles with the University City Hospitality Coalition, which has served homeless and hungry people for over 25 years. No cooking experience necessary! For more information, email info.pennclubphilly@gmail.com. San Antonio. Join us for lunch at kid-friendly spot The Cove, 606 W. Cypress, Fri., July 22, at 11:30 a.m. And watch your email in late July or early August for details on our annual Student Send-off. Seattle. Join us for our annual end-of-summer picnic. Bring your friends and family for a relaxing Sunday afternoon on Sept. 11 at one of Seattle’s hidden gems, the Highlands. Enjoy a casual BBQ, heated outdoor swimming pool, tennis, and great company. The club will provide hamburgers, veggie burgers, hot dogs, and non-alcoholic beverages. Alumni are encouraged to bring side dishes (for last names beginning A-M) and desserts (last names beginning N-Z). For more information, visit www.pennclubofseattle.com or email Lauren Olsen Nu’12, at lolsen@alumni.upenn.edu. Utah. Join fellow alumni, current students, family members, and the incoming Class of 2020 for our annual Student Send-Off and summer party on Sun., Aug. 14 at 5pm. Do visit our website for details: www.alumni.upenn.edu/utah. Western Pennsylvania. Join us for our annual Pirates Game and Tailgate Party. We will be cheering on the Bucs on Sun., Aug. 7. For more information including how to purchase tickets, visit our website at www.alumni.upenn.edu/westernpa. Penn Alumni has nominated two candidates to fill two alumni trustee positions for five–year terms starting January 1, 2017. Dr. Patricia Martín M’85 is a partner at Medical Imaging of Lehigh Valley P.C., a subspecialized radiology practice at Lehigh Valley Hospital and Network in Allentown, Pa. After graduating from Harvard University in 1981 and from the Perelman School of Medicine in 1985, she completed her radiology/neuroradiology training at NYU Medical Center in 1991. Dr. Martín practiced academic neuroradiology at Stony Brook University Hospital in New York before moving to Pennsylvania in 2000. 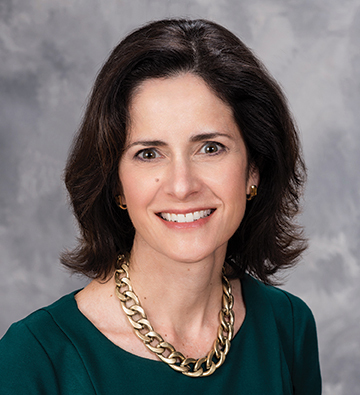 Dr. Martín’s professional leadership roles include as neuroradiology section chief and treasurer and vice president of her practice’s professional corporation. She has been a member of the Board of Directors of the Pennsylvania Radiological Society since 2006. In 2013, she became a Fellow of the American College of Radiology. Patricia has served as a board member and an officer of the Association of Latino Alumni since 2007 and in 2012, she was appointed to the Board of Overseers of Penn Nursing. She is married to Kevin Bannon C’76, and together they have raised two daughters. Patricia is most interested in promoting diversity and inclusion at Penn. Cheryl Peisach W’87 is a co-founder of Passion Growers, a premium rose and cut-flower grower, importer and distributor, based in Miami. Cheryl started her career at Arthur Andersen LLP in Chicago, working in the tax division before moving to Miami in 1990 when she started in the flower business. Actively involved at Penn, Cheryl is co-president of the Class of 1987 and also serves on the Wharton Undergraduate Executive Board. She is currently co-chair of the programming committee for the Trustees Council of Penn Women, where she has been involved for eight years. 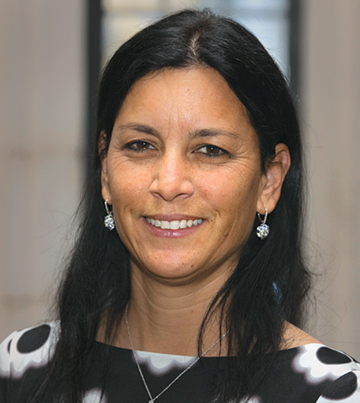 In addition, she is a council member of the US Holocaust Memorial Museum, and is a board member of the Joe DiMaggio Children’s Hospital and Memorial Hospital foundations. She and her husband, Jaime Peisach W’88, have two sons, one who graduated from Penn in 2014 and the other who is currently a junior at Penn. Alumni may file other nominations until August 31, 2016; these nominations must be accompanied by a petition signed by no less that 1500 degree-holding alumni.